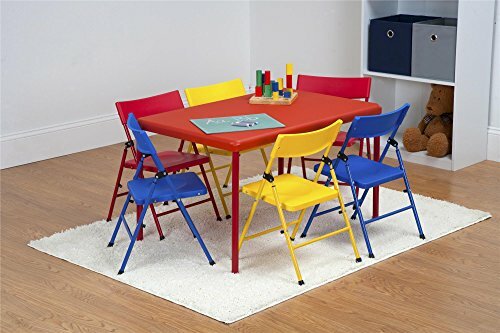 The safety first 7 piece children’s juvenile set with pinch free folding chairs and Screw in leg table is designed for safe fun. Constructed of high quality polypropylene and a powder coated steel frame, this table will last whether you use it indoors for craft and games or sparingly outside for parties, and is easy to clean and maintain. Featuring pinch-free chairs and Screw in legs this set offers safety as well as simple and easy storage. If you have any questions about this product by Cosco Kids Furniture, contact us by completing and submitting the form below. If you are looking for a specif part number, please include it with your message.